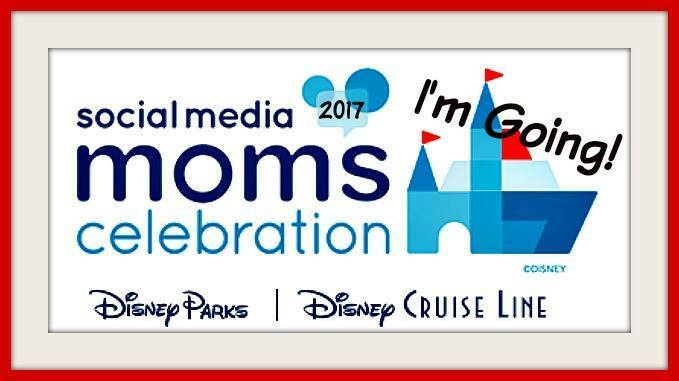 You are going to Walt Disney World! But sadly, the trip has to be a short one. It’s an unfortunate conundrum. There simply won’t be time to see and do it all. Choices will have to be made. For visitors to Walt Disney World on shorter trips, the big question is what parks to prioritize and which ones to skip. What is the right answer will differ from Disney guest to Disney guest. How many days do you have? What are the ages of your children, if any? Are there any rides you simply cannot see yourself skipping? What rides are closed for refurbishment during the time of your visit? What are the anticipated crowd levels? Where are you staying? Looking back on my own Walt Disney World travels over the last several years, the two parks I skipped the most were Animal Kingdom and Hollywood Studios. I have not yet missed Magic Kingdom or Epcot on a single trip. But I will admit to being an Epcot fanatic. Not everyone is going to feel the same way. So with my biases disclosed, here is how to make the smart choices for you and your family if you need to skip a park or two on your next Walt Disney World vacation. Should You Skip Magic Kingdom? Unless you are a very frequent visitor to Walt Disney World, I simply cannot recommend that anyone skip the Magic Kingdom on any trip, no matter how short. It’s a classic. So many rides are the perfect fit for every age and interest. Seeing the castle is part of feeling like you have truly come home to Disney again. If you are traveling with toddlers and preschoolers, Magic Kingdom is the one must-visit park. In fact, I’d often recommend families with younger children spend extra time at Magic Kingdom even if it means skipping two or all three of the other parks on a quick trip. The conventional wisdom is that families with young kids should probably skip Epcot. The park is quite spread out (lots of walking) and there are very few attractions aimed at the little kid set. That assessment is probably fair, even with my own personal bias in favor of Epcot. That said, if you have a little Frozen fan in the family, throw this guideline out the window. Riding Frozen Ever After in Epcot’s Norway Pavilion and meeting Anna and Elsa has to be a priority. Yes, you can get a bit of a Frozen fix over in Hollywood Studios but the ride and the characters are the top Frozen experience. Who else shouldn’t skip Epcot? If you happen to have a foodie in the family, Epcot is not to be missed. The food choices around World Showcase are too enticing. This rule is doubly true if you are visiting during one of the special festivals (Food & Wine Festival, Flower & Garden Festival, or Festival of the Arts) that bring even more food choices to Epcot. Travel-lovers also shouldn’t miss this park. Walking around the world and seeing all the countries represented is really meaningful. I remember so well looking around Epcot when I first visited with my family during my childhood and thinking “I’m going to visit every one of those countries one day.” (Two more to go.) It’s an inspiring educational experience that isn’t replicated anywhere else at Walt Disney World. Should You Skip Hollywood Studios? With Toy Story Land slated to open in 2018 and Star Wars Land in 2019, there is a lot “coming soon” at Hollywood Studios. This means a lot of people are going to be skipping this park in the next few years while they wait for all that’s new. If you are planning a return trip to Walt Disney World in the next couple of years to see these new offerings, I would recommend skipping Hollywood Studios. There are a few caveats to that recommendation, of course. If you have kids who are crazy Star Wars geeks (or are just one yourself), the Star Wars offerings are not to be missed – even before the debut of Star Wars Land. The evening Star Wars fireworks are a particular highlight. Additional, if you are traveling with teens or thrill ride junkies, Hollywood Studios should be on your must-do list. It’s home to two of the best thrill rides at Walt Disney World – Tower of Terror and Rock N Roller Coaster, not to mention Star Tours which is pretty thrilling too. I’m going to go out on a further limb here too. I hear often that families with young kids should skip Hollywood Studios. I disagree. The park has a lot to offer toddlers and preschoolers – Disney Junior Live on Stage and Disney Junior character meet-and-greets, the Little Mermaid and Frozen shows, and Toy Story Mania to name a few. The smaller footprint of the park (for now) makes it manageable for walking with kids with a lot of attractions close together. So don’t write it off with little kids, depending on their interests and favorite characters. Should You Skip Animal Kingdom? Animal Kingdom is my most-skipped park in the last five years, both with and without my family. I always felt it was kind of a half-day park with a bit of filler. The opening of the night offerings in Animal Kingdom like Rivers of Light helped my thinking evolve. Of course, the opening of Pandora: The World of Avatar earlier this year is what truly changed everything for me and for many visitors. Anyone who hasn’t seen Pandora yet is not going to want to skip this park. That said, if you have an extremely short visit (less than two full days) and likely will be coming back to Walt Disney World soon, I’m not sure I can recommending doing Pandora. At least not can’t do it right. If you can’t get a Fastpass+ for one of the Pandora attractions or can’t either rope drop the park or close it down to avoid some of the crowds, you are going to be wasting a ton of time in the Pandora queues. If you already have limited time anyway, this may not be time well-spent. Finally, just as with Hollywood Studios, thrill ride lovers should also strongly consider not skipping this park. Expedition Everest is one of Disney’s best coasters. Now with Pandora’s Flight of Passage adding another thrill ride to the more moderate thrills of Dinosaur and Kali River Rapids, there is a cluster of attractions for adrenaline junkies that is competes with the offerings of Hollywood Studios. At least until the new lands open there. If you are planning a shorter visit to Mickey’s Orlando home, here are a few parting Disney World tips to help you make the most of your trip. Planning is Key: Planning is always important for making the most of your time at Disney World, but that adage is especially true on shorter visits. Maximize your time. Book those Fastpasses and character meals as soon as you can. Have an itinerary and plan and stick to it. Efficiency is king! Don’t Waste Time on Transit: Disney’s transportation system is hit or miss on occasion. If you have a short trip, you really can’t afford to waste an hour standing at a bus stop for a shuttle that never comes. Fortunately, alternatives are now cheap and plentiful. Uber and Lyft are alive and well on Disney property (Uber even offers Uber Car Seat if you have a kiddo who needs transportation). And the brand new Minnie Vans service provides something similar and is operated by Disney (flat rate of $20 per ride and up to two car seats included). Stay on Disney Property: With maximizing your time as a priority on shorter trips, consider staying in a Disney resort rather than an off-property hotel or condo. After all, for just a night or two, you aren’t going to be saving a lot of cash by staying off-property. Additionally, shorter trips mean you are less likely to need the amenities of many of the off-site options like condos with kitchens to cook, etc. Book the Right Disney Hotel: Even if you do stay on-property, I’d take your hotel planning a step farther. Think ahead to what parks you want to visit before booking your hotel. It would be silly, for example, to pay the big bucks to say in Yacht Club or Beach Club (within walking distance of Epcot) and not plan to go to Epcot. Similarly, it would be a major waste to splurge on the Grand Floridian or Polynesian and not go to Magic Kingdom. These are great planning trips! I have split trips between Disney and Universal in the past before so we would have to decide which two or three Disney parks would be a priority that years. Currently with all the new construction Hollywood Studios would be a good one to skip until the new areas are open since so many attractions are closed.